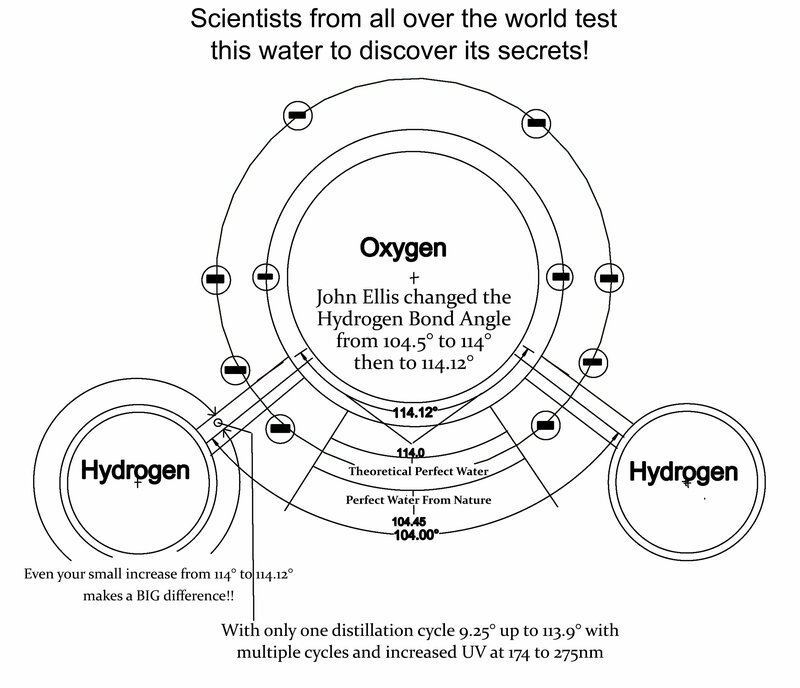 If you change the HYDROGEN BOND ANGLE in any ordinary drinking water from a SLUGGISH 104° degrees to 114° degrees it clears arteries by increasing measurable blood flow! Below are excerpts taken from the book ” The Faraday Twins” written by author Jon Christian Ryter who has a readership of over 16 million people. John Ellis responded to the nurse: “You saw that because our system weakens the bonds of the blood cell. 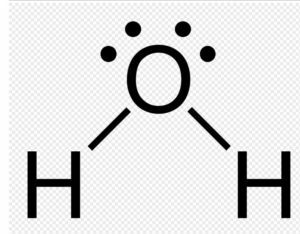 The hydrogen bond angle is 114° which creates the ability of water to pass through a membrane and penetrate the cell. That’s why when people buy normal single pass distillers, the content in the distiller will be 104° when the distiller is turned on, it will boil and the bond angle of the water will expand anywhere from 108° to 110°. When the water cools, it will always cool to 101°”. The water, on the supermarket shelf, will be referred to as “distilled water” simply because the water is boiled until it is deionized (removal of minerals and grit from the water). Steam iron manufacturers do not recommend using distilled water for steam irons. If you read the instruction card from most American made steam irons, it will likely suggest deionized water which is 50% tap water and 50% distilled water which prevents your steam iron from spitting at you. Using our patented distillers, the bond angle will expand to 113° to 114°–but when the water cools, the bond angle will remain at 113.8° to 114°. In other words, the expansion of the bond angle is permanent.